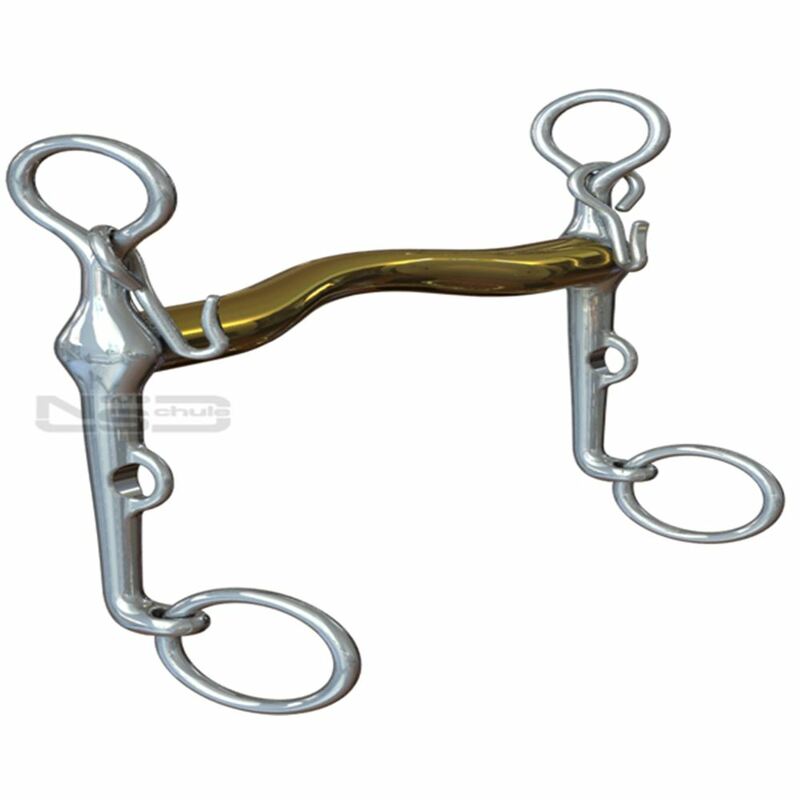 The NS Aachen Weymouth is ideal for horses that work above the bit in a double bridle. The Neue Schule Aachen is an innovative, ergonomically designed, very kind Weymouth. The gently sloping mouthpiece forms a wide, low tongue bridge designed for maximum comfort across the tongue and does not cause pressure over its sensitive outer edges. The NS Aachen Weymouth's tongue bridge also provides gentle, even weight distribution over the bars. The mouthpiece is a constant 16mm diameter, circular over the bars and cleverly changing shape forming an oval profile over the tongue, thereby occupying minimum volume between the tongue and upper palate. It is particularly beneficial for the horse that is inclined to work above the bit and come back at you (peacock outline), or those that are tense and shorten the neck. The Neue Schule Aachen is designed to encourage the horse to lower the poll and lengthen the neck into soft, sustainable contact.